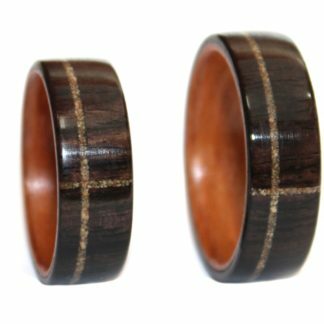 Stunning Set of two KOA Wood rings in 3 mm and in 8 mm design with eye-catching classic design, complete with comfort fit styling. 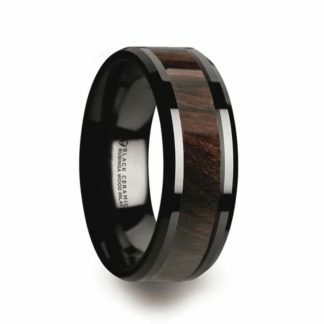 No two rings are the same in that each will have its original living (organic) features – truly a desirable and sought after creation. 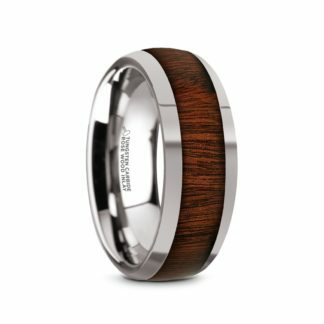 The 8 mm band is crafted with Whiskey Barrel Wood in Titanium, round profile. 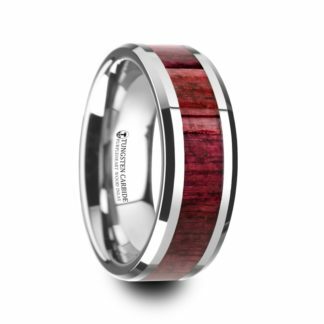 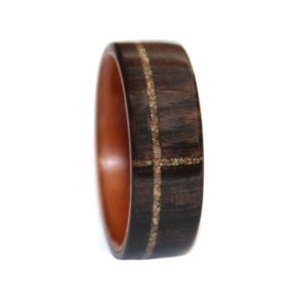 The 3 mm band is crafted with KOA wood inlay in 14 Kt. 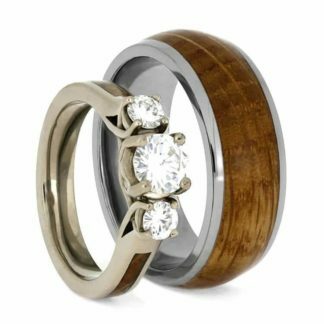 White Gold with 3 Moissanite Stones (The larger, middle stone is 5.5 mm, round with 14 Kt. White Gold prong and the two smaller stones are 3.5 mm each, round with 14 Kt. White Gold prongs). 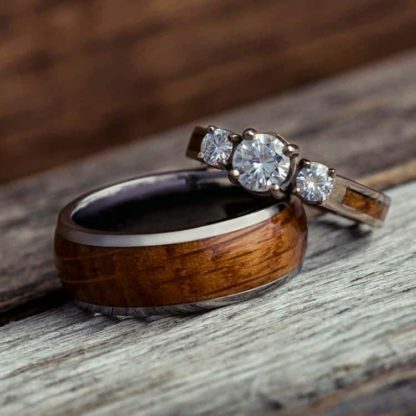 Moissanite gemstones are lab-created and rated 9.25 on the Mohs hardness scale with only diamonds rated higher at 10. 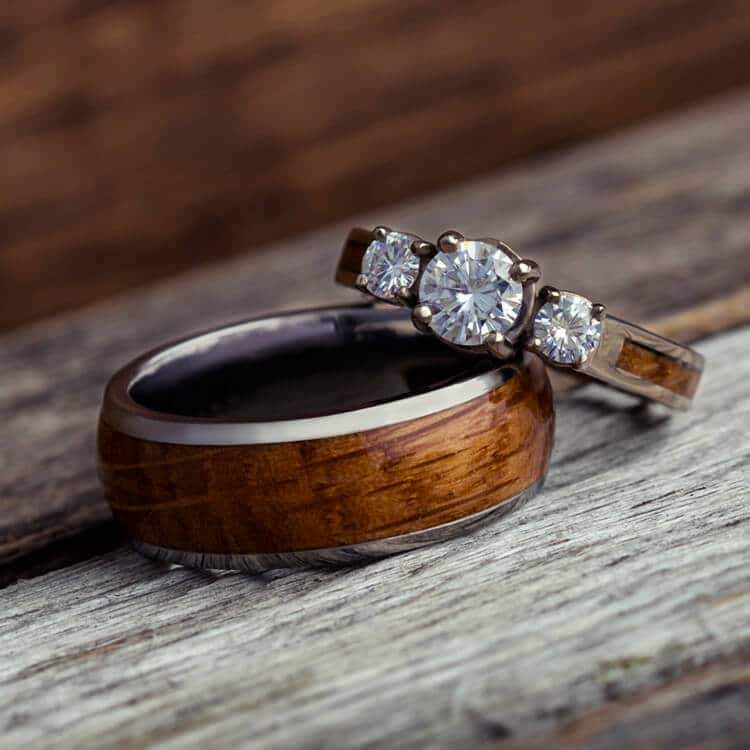 Moissanite gemstones are scintillating in appearance and virtually colorless and require no mining – therefore they are eco-friendly.